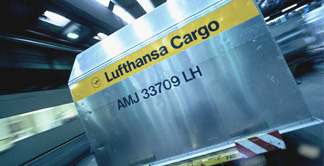 ULD Unit load devices are used within the airline and aviation industry to enable operators and customers to load cargo into airline containers or on airline pallets. ULD's are basically interchangeable between the airlines and are widely used to streamline costs in packing, fast and secure on- and off-loading of aircrafts. The following informations are nominal figures and differences in measurements are possible! We strongly suggest to contact us if you do have any critical weight and dimensions prior to book the related ULD in order to double check the available equipment with the related airline!